It varies by book, of course, but generally speaking, I get going when I can hear the protagonist’s voice. Now The Skeleton Makes a Friend, my most recent book, is the fifth in the Family Skeleton series. The series features Georgia Thackery, an adjunct English professor and her best friend Sid. Who is a skeleton. Not metaphorical. A walking, talking skeleton who makes bad jokes. Together they solve crimes. Since I’ve got their voices down as well as I’m ever going to, I had to start somewhere else. The plot idea was for somebody showing up at the front door, looking for Sid. Since nobody outside the family knows Sid exists, I expected to be able to zoom into the plot from that. But nope. I had to figure out who the person at the door was, how she knew about Sid, and why she was looking for him. In other words, I had to hear her voice. Once I had that, I could get moving. So while I can have a setting I love, a plot that intrigues me, and all that other stuff, unless I know how the protagonist thinks and speaks, I’m dead in the water. Like Sid swimming in a lake. That person who showed up at the Thackery door? Her name is Jen, and since she’s a teenager, she was accompanied by her mother Judy. Judy was originally intended for background and to provide exposition. Except she kept getting more and more interesting, and ended up being a much bigger part of the book than expected. I felt bad about putting her into a burning building, but these things happen. I created the fictional Overfeld College in the fictional town of Overfeld, a New Hampshire setting where the college and town were founded at the same time, and are intertwined in a love/hate symbiotic relationship. A town green includes a colony of black squirrels. Coincidentally, a while back I visited Oberlin College in the town of Oberlin, an Ohio setting where the college and town were founded at the same time. The town green includes a colony of white squirrels. I think anybody can connect those dots! I’ve got the copy edits for the new book to finish this week, then a couple of short stories to work on and some trips coming up. After that, I’m going to work on a new book that is so secret that I don’t even know what it’s about. “Why did you decide to write about a walking, talking skeleton?” I wonder about that a lot, too. I honestly don’t remember the exact moment—the idea had been rattling around in my skull for ten years before I sold the series. (Yes, I make a lot of bone jokes. I can’t help it anymore.) The best I can recall is that I’d been told that paranormal mysteries were popular, and I was trying to come up with something new. Vampires? Charlaine Harris had that locked up. Werewolves? My friend Dana Cameron. Witches, ghosts, ghost cats, haunted houses, haunted bookshops, haunted B&Bs, wizards, angels… All done. Suddenly Sid popped into my head, with that name and with that voice, and he haunted me until I had the opportunity to write his stories. Leigh Perry is two authors in one. 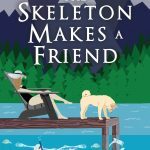 As Leigh, she writes the Family Skeleton series about an adjunct English professor who solves mysteries with her best friend, Sid, an ambulatory skeleton. The Skeleton Paints a Pictureis the most recent, and the fifth, The Skeleton Makes a Friend, will be released in November. As Toni L.P. Kelner, she’s the author of eleven novels: eight Laura Fleming mysteries and three “Where are they now?” mysteries, and has published a number of short stories. 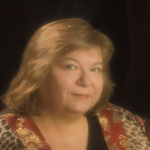 Along with New York Times bestseller Charlaine Harris, she co-edited a series of bestselling urban fantasy anthologies.She won the Agatha Award for Best Short Story for “Sleeping With The Plush,” and a RT BOOKreviews Career Achievement Award for Mystery Series. 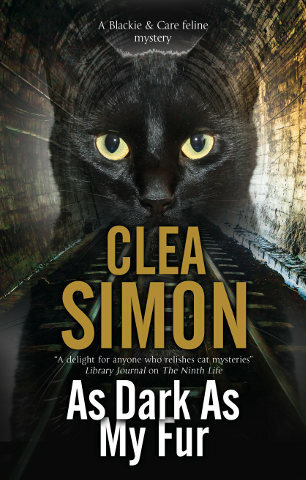 She’s also been nominated for the Anthony, the Macavity, and the Derringer awards. Leigh is delighted to return to Florida for Bouchercon. 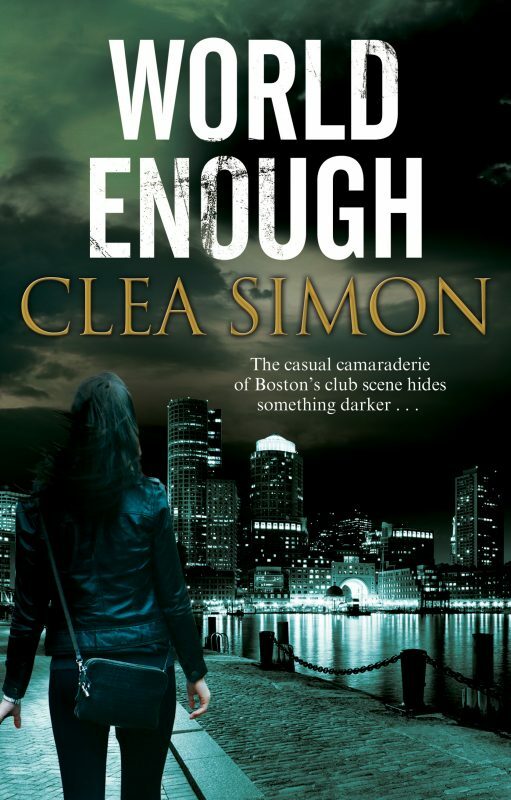 She was born in Pensacola, but has been living in Massachusetts for over 30 years, and both daughters are native New Englanders. She and her husband live north of Boston with one of the daughters, a guinea pig, and a whole lot of books. Visit her online at LeighPerryAuthor.com and ToniLPKelner.com.